Convex shape of the file prevents unwanted scratches. Precision-cut, razor-sharp teeth provide a very high-quality, scratch-free surface finish. Surfaces can be painted or processed immediately. File blade can be used on both sides. 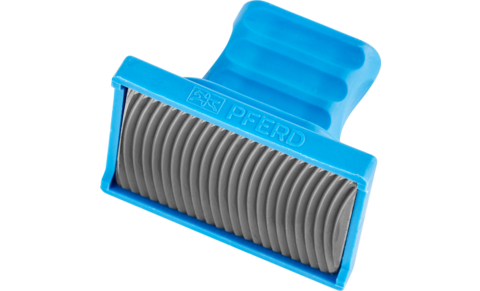 The small design of the paint peeler enables work in hard-to-reach areas. It is used for finishing the smallest painted surfaces with the corresponding plastic holder. This plastic holder allows for very fine adjustment of the file using two adjusting screws. Suitable for smoothing, correcting painting faults such as impurities, dust particles and air bubbles as well as removing extremely thin paint layers.